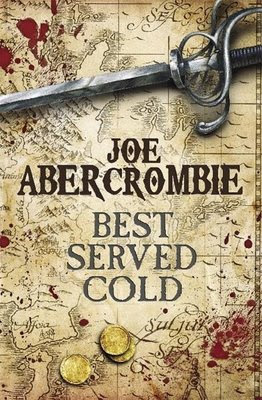 This is the fourth Joe Abercrombie book I've read and I'll certainly be reading more. Some excellent characters in here (I particularly like the number-obsessed 'Friendly') and it's what is best described as a thumping good read. If you're a little sensitive to gore and violence then perhaps this is best avoided. But then, if you're like that, it's hardly likely you'd be reading this blog. Yep, his characterizations are superb and makes me extremely jealous. I wish I could get my characters to leap off the page and lodge in your mind the way his does. His ones tend to leap off the page and lodge a cleaver in your mind. I think you will enjoy Red Country too. Damn Good. So... it's not a migraine that I've got? Nicomo Cosca is quite wonderful in every book he's appeared in. Quite the scene stealer- and he's got some good stuff in Red Country as well.